Just the Facts: by Stephen Altrogge. 144 p. Published April 2011 by Crossway Books. Advanced review copy received in electronic format courtesy of the publisher, through NetGalley. Short Bio: Stephen Altrogge delves into our society’s most commonly found malady: discontentment. How could residents of the richest nation in the world, of whom most are in the world’s top 1% wealthiest, be so discontent? Altrogge examines what this discontentment looks like in our lives, what’s at the root of it, and how we combat it. Eyewitness Account: Moment of truth: I expected this book to bore me. It had “yeah, yeah, I know all that” written all over the blurb. If you looked at the five-star rating above, you can imagine just how surprised I was to find these short 144 pages a down-and-dirty, “in the trenches” look at the battle for contentment. Altrogge examines the nature of discontentment (which is ultimately a form of idolatry – finding or believing that true satisfaction is in something God created rather than in God himself), the lies we believe when we’re not content (“God owes me”, “God is holding out on me”, “If I could just get this one thing then I’d be truly happy”, and finally, “I know what’s best for me”), what we truly deserve from God (punishment for being the rebellious idolaters that we are), what we actually get from God (not only forgiveness for our death-causing sins, but also a place in God’s family as his children and inheritors of his kingdom), and the root of what we are truly longing for – the Heaven we were created to enjoy. When I read books on my Kindle, I like highlighting good quotes so that I can peruse them later when I write my book reviews or when I want to share good parts with my friends. I went back into my highlighted quotes for this review and found FIFTY-THREE PASSAGES that I had marked (my average for a really good book is about 20)! With just the right mix of personal anecdotes, too-true illustrations, and scriptural backing for each of his chapters, I found this book enjoyable, humorous, well-paced, deeply thought-provoking, and extremely practical to apply. Two thumbs up and a big gold star sticker for Stephen Altrogge! Just the Facts: by Derryl Murphy. 320 p. Published March 2011 by ChiZine Publishers. Advanced review copy provided in electronic format courtesy of the publisher, through NetGalley. Short Bio: (from ChiZine Publishers) Dom is a numerate, someone able to see and control numbers and use them as a form of magic. While seeking a mathematical item of immense power that has only been whispered about, it all goes south for Dom, and he finds himself on the run across three countries on two continents, with two unlikely companions in tow and a numerate of unfathomable strength hot on his tail. Along the way are giant creatures of stone and earth, statues come alive, numerical wonders cast over hundreds of years, and the very real possibility that he won’t make it out of this alive. And both of his companions have secrets so deep that even they aren’t aware of them, and one of those secrets could make for a seismic shift in how Dom and all other numerates see and interact with the world. Eyewitness Account: This is the second ChiZine galley I’ve read (I read both this last weekend) and, like Eutopia, it has a very unique and intriguing plot. Murphy posits a Matrix-like world in which a few select people can not only see the “numbers” that make up our world, but they can also manipulate them to defy normal physical laws (a la Obi Wan and The Force). Dom, the main character, is thrown in with the ghost-like shadow of a former numerate and a newbie who is just discovering her mathematical gift. As they are hotly pursued by the most powerful numerate in history, Dom gets a whole new education in the nature of numbers and how numerates can use and abuse them. Although the books are nothing alike, I found myself comparing Napier’s Bones to Eutopia – perhaps because they both bore the distinctive ChiZine mark of somewhat bizarre plots. However, where Eutopia was strong on characterization but slightly weak on plot and setting, Napier’s Bones is much the opposite. The “numerate” world was very believable and engaging – something I could see Hollywood picking up and exploiting for its awesome special effects and endless possibility of plot lines. The fast-paced storyline kept me turning pages from the beginning, and the author deftly walked the thin line of describing the “rules” of the numerate world without info dumping. The only major weakness, in my opinion, was the character development – they all fell a little flat and never managed to take on any real personality (I couldn’t picture which actor would play them in a movie adaptation – which is how I know they could have been fleshed out a bit better). The long dead mathematicians and poets that Murphy pulls into the present numerate world are kind of fun and I learned a few things I didn’t know. If you want a great explanation for how John Napier’s “Bones” actually work, check out this website. This would be a great summer reading pick, especially for readers who like action, math, or science fiction. Just the Facts: by David Nickle. 259 p. Published April 2011 by ChiZine Publishers. Advanced review copy provided in electronic format courtesy of the publisher, through NetGalley. Short Bio: (from ChiZine Publishers) The year is 1911. In Cold Spring Harbour, New York, the newly formed Eugenics Records Office is sending its agents to catalogue the infirm, the insane, and the criminal—with an eye to a cull, for the betterment of all. Near Cracked Wheel, Montana, a terrible illness leaves Jason Thistledown an orphan, stranded in his dead mother’s cabin until the spring thaw shows him the true meaning of devastation—and the barest thread of hope. At the edge of the utopian mill town of Eliada, Idaho, Doctor Andrew Waggoner faces a Klansman’s noose and glimpses wonder in the twisting face of the patient known only as Mister Juke. Eutopia follows Jason and Andrew as together and alone, they delve into the secrets of Eliada—industrialist Garrison Harper’s attempt to incubate a perfect community on the edge of the dark woods and mountains of northern Idaho. What they find reveals the true, terrible cost of perfection—the cruelty of the surgeon’s knife—the folly of the cull—and a monstrous pact with beings that use perfection as a weapon, and faith as a trap. Eyewitness Account: So, ChiZine is a new publisher for me and I’ve just read two of their galleys this weekend (look for a Napier’s Bones review soon). They are admittedly a publisher of “weird, subtle, surreal, disturbing dark fiction and fantasy” and Eutopia certainly fits that bill. 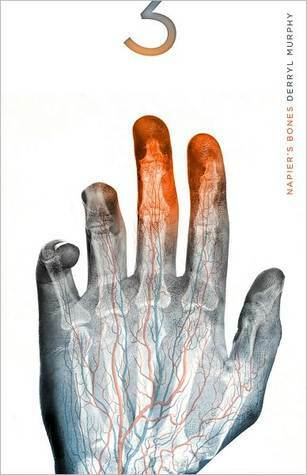 I don’t know if it was the cover, the title, or the blurb, but I had expected this book to be a futuristic dystopian novel – and was instead plopped down in a historical novel with some bizarre sci-fi/fantasy twists. The plot jumps between two main protagonists – Jason Thistledown, the sole survivor of a plague in his small Montana town, and Andrew Waggoner, a black doctor invited to work in a logging town in Idaho. Both are confronted with the plans of others to make a “perfect” society – through Eugenics (“culling” out the weak in society, which means killing or sterilizing them) and through the creation of a “Garden of Eden” in the isolation of Idaho. The two men soon find that they are entangled in more than just the cruel working of man when encounter Mister Juke, who doesn’t seem to be quite human and proves that he can manipulate the minds and wills of the local hillbillies. Perhaps it was the dichotomy between my preconceptions and the reality of the novel that made me confused for the first half of the book, but it took me a while to really get into the plot. However, the wait was worth it – the second half of the book really picks up some plot momentum and has a fairly smashing conclusion. The novel deals with a wide range of topics, from racism and the Eugenics movements to faith and the quest for perfection. 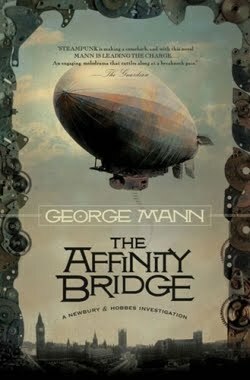 Nickle’s main characters – Jason Thistledown, Aunt Germaine, Andrew Waggoner, and Mister Juke – were the best part of the novel, as each one is very distinctly and uniquely drawn (no mixing up characters in this novel!). 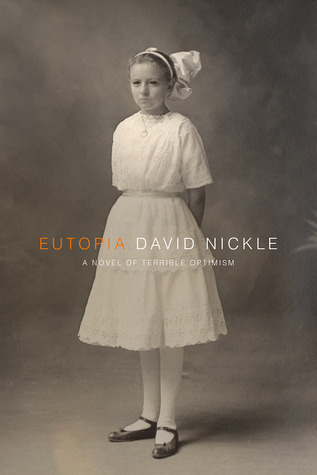 Nickle gets two thumbs up for originality, as I’m fairly certain there isn’t another story like this – you might find yourself turning the pages of Eutopia just so you can see how he pulls all these diverse plot threads together. I would like to caveat this book by saying its gets an N-17 rating from me; there are some graphic scenes that, while not necessarily containing violence, are slightly disturbing. This is certainly a book to try if you like the Twilight Zone or somewhat twisted/strange stories. “Did any of them ever mark the day, he wondered, when they fell from reason into madness? Just the Facts: by David Platt. 240 p. Published May 2010 by Multnomah Books. Book received as a gift. 5. Participate in a faith community. Eyewitness Account: This book is certainly one of the most challenging and engaging reads I’ve had in a while – and I read almost all of it in one day because I was so interested in it! I’m not usually big into marking up books, but my copy has underlines and notes and exclamation marks all through it (hopefully those will amuse whoever borrows it from me) because I wanted so much to engage in the author’s discussion. I completely resonated with the struggle of fleshing out what it means to be a disciple of Christ in an American context – what exactly is our purpose in life? Is it to climb up our career ladder and work for the comfort and security of our family’s future? Is it even to regularly attend church and ensure that you give to good charities? Or is it to radically hunger and thirst for God’s word and presence in your life in a way that causes you take ridiculous risks? I enjoyed Platt’s honesty about his own spiritual journey and the times when he himself has fallen victim to the American Dream. I was left challenged with the idea that even having been a Christian for many years, I still think with my American brain. When I am excited or touched with a need that I sense God asking me to step up to fill, I immediately start thinking “How can I fulfil it? How can I accomplish that task? What resources do I have?” I’ve slipped into my American mindset already – and if I were to succeed, who would get the credit? Would anyone look at what I’d done and praise God? No – they’d praise me. God chooses to use the weak and the powerless and asks them to do ridiculous, impossible things because He knows that’s how He gets the credit! I LOVED the examples of hard-core disciples that Platt gave – people like George Muller, Jim Elliot, and John Paton who did seemingly crazy things that ended with God getting praise from people who were definitely against God before. I also found this book to be exceptionally well organized for something of this content – I really appreciated how Platt walked the reader through Matthew 10 to discuss how Christ sent out the disciples, what he told them to expect, and how he equipped them. I also found his walk-through of the Romans Road a very provocative and logical exposition on our status before God and the need to share the message of Christ with others. Although I already have portions of his “experiment” imbedded in my daily life, I was challenged to be more consistent and intentional about them. I found this book though-provoking and and look forward to re-reading it again soon (hopefully I can talk my book club into it)! 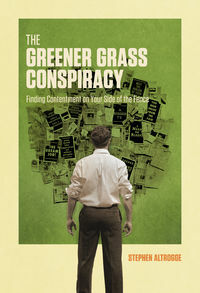 If this book really intrigues you, I’d urge you to check out the insightful review done on the Gospel Coalition’s page (linked below) – it has some thought-provoking questions about the content of this book and Platt’s response. What are other people saying? Another book review from Lets Eat Grandpa, a book review and dialogue with the author at The Gospel Coalition, and a reader who evaluates her progress on the “experiment” on year later at The Coffee Shop. Just the Facts: by Trevin Wax. 240 p. Published April 2011 by Moody Publishers. Advance review copy provided in electronic format courtesy of the publisher, through NetGalley. Not-so-Short Bio (from NetGalley): What if the biggest danger to the church of Jesus Christ is not blatant heresy, the moral failures of church leaders, persecution, the rise of Islam or the loss of our rights? What if the biggest threat is counterfeit gospels within the church, ways of thinking and speaking about the good news that lead to a gradual drift from the truth of Scripture? The gospel is like a three-legged stool. There’s the Gospel Story – the grand narrative of Scripture (Creation, Fall, Redemption, Restoration). Within that overarching framework, we make the Gospel Announcement about Jesus Christ (His perfect life, substitutionary death, resurrection, exaltation). The gospel announcement then births the Gospel Community: God’s church – the embodiment of the gospel, the manifestation of God’s kingdom. A counterfeit gospel is like a colony of termites, eating away at one of the legs of this stool until the whole thing topples over. This book exposes six common counterfeits (Therapeutic, Judgmentless, Moralist, Quietist, Activist, and Churchless) that would get us off track. Eyewitness Account: The title of this book intrigued me – and I was not disappointed! Wax and Chandler break out their definition of “the gospel” (mainly the three pieces mentioned above, Story – Announcement – Community) and how many of the “gospels” being taught/preached in churches today change one of those pieces. I was impressed not only with the content of this book, but also with how the authors organized it; after each “counterfeit” is defined and explained with examples, the authors describe why we fall for it (what elements of truth are still in it) and what dangers result from holding to that counterfeit. I highly recommend this book to anyone who is interested in what the core beliefs of Christianity are and how Christians and the Church can most accurately reflect those beliefs. 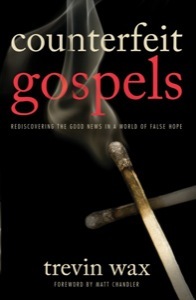 Counterfeit Gospels is a very thoughtful and well-written response to the increasing number of Christian churches who have succumbed to off-target or incorrect doctrine. Just the Facts: by Peter Godwin. 384 p. Published March 2011 by Hachette Books. Advanced review copy received in electronic format courtesy of the publisher, through NetGalley. 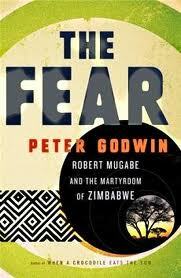 Short Bio: Peter Godwin relays the stories he gleans from several trips through Zimbabwe in the aftermath of the 2008 election, chronicling the unbelievable stories of assault, torture, intimidation, and murder of President Robert Mugabe’s regime against their opposition. Mugabe, who helped lead Zimbabwe’s fight to independence 30 years ago, ruthlessly held his power in a “democratic” society by employing brutal intimidation tactics against all opposing political parties and supporters. Although the main opposition party, the Movement for Democratic Change (MDC), claims they won the presidential vote in 2008, Mugabe refused to abdicate his power to their candidate, Morgan Tsvangirai, and stepped up the incredible violence perpetrated against MDC supporters. He is currently still the President of Zimbabwe. Eyewitness Account: I don’t think I’ve read such a shocking narrative since I read about the Rwanda genocide in We Wish To Inform You That Tomorrow We Shall All Be Killed With Our Families. Godwin isn’t chronicling a genocide so much as he is detailing a politicide – the systematic wiping out of all who did not support Robert Mugabe’s regime. I have never before been so utterly grateful to live in a country where the worst a presidential election degrades to is a smear campaign; I can vote for whomever I please without wondering at the polling booth, “Should I return home to the thugs waiting to torture and kill me, or simply flee for my life now?” I had no idea what the state of welfare for the average person was in Zimbabwe – the fact that almost their entire population relies on food from foreign aid agencies because all the farmers have been run off their land, that torture victims would die from sepsis because they wait two weeks to seek medical help from their wounds out of fear of further attacks if they are seen at a clinic, and that their currency was so hyperflated that you had to bundle the bills in bricks of millions to buy bread. Although I give this book a full 5 stars for its incredibly compelling narrative, I hesitate to recommend it unilaterally – because story after story contains descriptions of some of the most inhumane torture I have ever heard described. The book is aptly named, as Mugabe’s regime truly imploys every possible way to instill immobilizing fear in the heart of all voting Zimbabweans. If you can get past the descriptions of horrendously brutal torture and truly heartrending situations faced by thousands of ordinary citizens, I highly recommend this book as a snapshot of how one man has catalyzed the utter collapse and ruination of a country and of the many brave people who have stood proudly in defiance of him.